About 5 years ago, NMCCH had a Public Relations representative working in the Northwest. One day he visited the Church of Christ in Prineville, Oregon. His presentation on the Home made a profound impact on a four year old young lady, Moriah. For the past five years, Moriah has kept the children at the New Mexico Christian Children’s Home in the spotlight at her home church. Earlier this year, Moriah’s Dad called me. 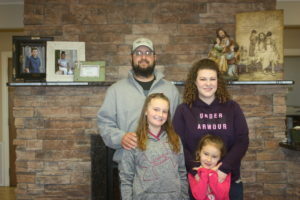 He explained that Moriah had collected a pretty sizable donation and he thought it was time for her to visit the Home and “her kids” since she has been praying for us and raising money for over half her young life. In March, the family loaded up and drove from Oregon to Portales to visit the Home. 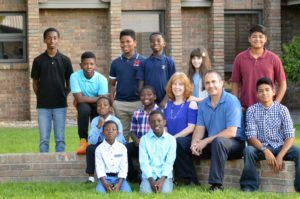 They saw some really beautiful country on their travels, but the real purpose was to meet some of Moriah’s kids. 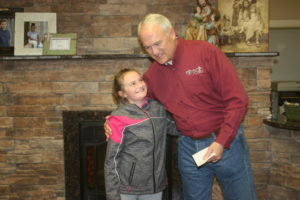 Moriah presents a check to Executive Director, Rod Self. We did our best to roll out the red carpet. They stayed in our guest house, ate dinner with one of our cottages and made lots of new friends. Moriah personally delivered a check for over $2,000 to our Executive Director, Rod Self and we were blessed and recharged by the visit of this wonderful Christian family. My name is Moriah Riley and I am nine years old. I am from central Oregon. When I was four years old a man came and talked to us about the children’s home. Since then my sister and I have been supporting the home. This year my family and I came down to visit the children’s home and to take money to them. We got to see the home, the kids, and the employees. My family had dinner with cottage 1 and we had a lot of fun. I learned how you guys help all of the kids learn about Christ and all that he has done for us. I took a can to my school and so far we have about 60 dollars that I will send next year. 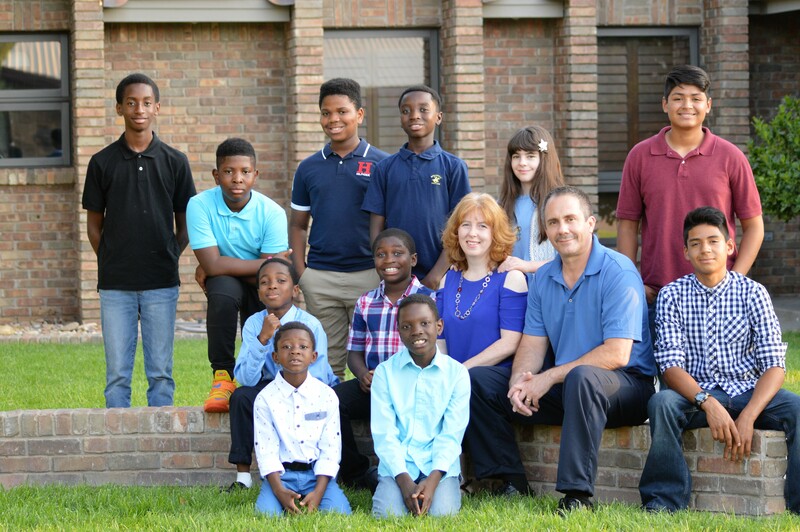 It was a blessing for my family to come visit the Children’s Home. The latest report is that Moriah has been busy getting her school involved in raising money for the Home, distributing change cans, selling eggs, and is even planning to give a speech to her dentist who is interested in donating to the Home. Moriah hopes to raise $10,000 to help us in building a playground for our single parent children. We continue to be grateful for our donors, wherever they may be and however old or young. Your partnership in serving children and families is greatly appreciated!